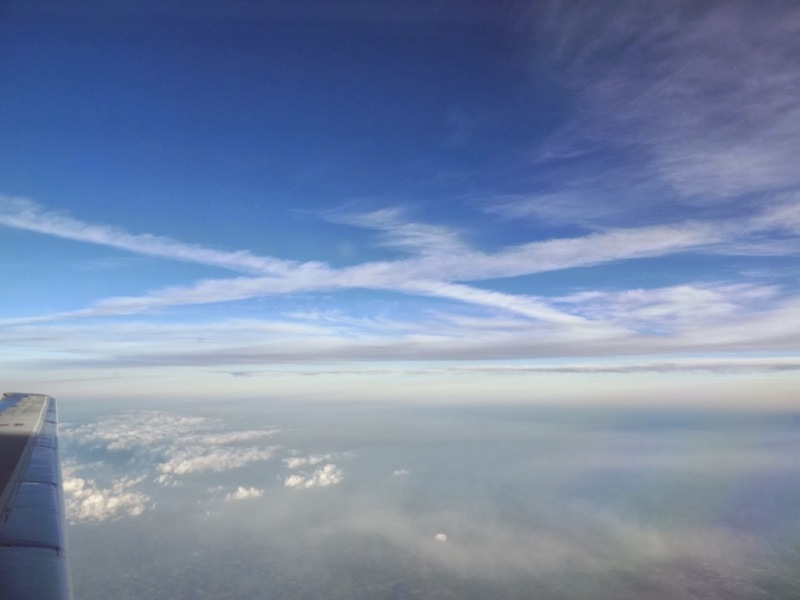 While looking at the sky, contrail watchers often take interesting or pretty photos of clouds - even if it's not specifically about the contrails. This is the thread to post them in. If you've got a collection of photos, or they are related to some event, or you have a question about them, then post a new thread in the Images forum, or the Skydentify forum. Thanks, but there's nothing special about my ability to point the phone at the sky and shoot, the sky must take all the credit. You can get that effect standing on the beach with wet sand in front of you and the sun behind you, the halo will be around the shadow of your head. To a lesser extent it can happen on a bitumen road, polarised sunglasses can make it more prominent. I had never noticed a Fallstreak hole, yesterday (Feb.4, 2014) I had to drive from Bakersfield to Los Angeles, I saw at quite a few. Unfortunately, I was on a schedule and there weren't always convenient pull offs on the freeway. At the base of the Grapevine (Interstate 5) heading south. At the Hwy. 138 interchange looking ESE. Also captured a contrail shadow, the contrail can just be made out midway between the shadow and the sun. This photo should be rotated to the right for correct orientation. 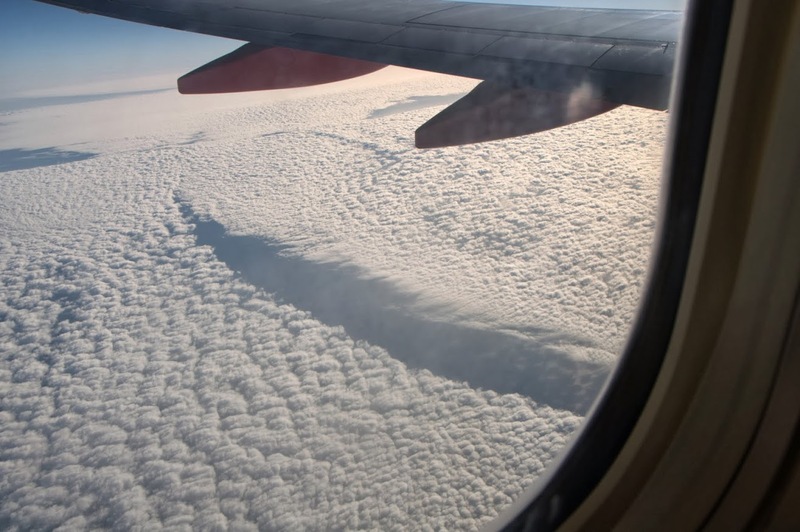 I was reading a post awhile back, I think on contrailscience.com where a chemtrail enthusiast came on saying that clouds do not form over areas with hot and dry climates. Here are a couple of shots from above Afghanistan today, along with over the UAE. The northern part of Afghanistan still has snow, but the southern part is very dry and hot. Thank you! That is coming in over the UAE, definitely very warm down there. We flew again today and there are definitely big clouds over there, my teeth are still rattling from the turbulence! This is a ground view from Chatanooga, TN 2-19-14. This is my original photo today around 5pm. 1pm had total blue skies. It looks a lot like those airliners are flying on IFR airways much like these. Here are a couple of pictures of IFR enroute charts that those pilots would have in their possession. 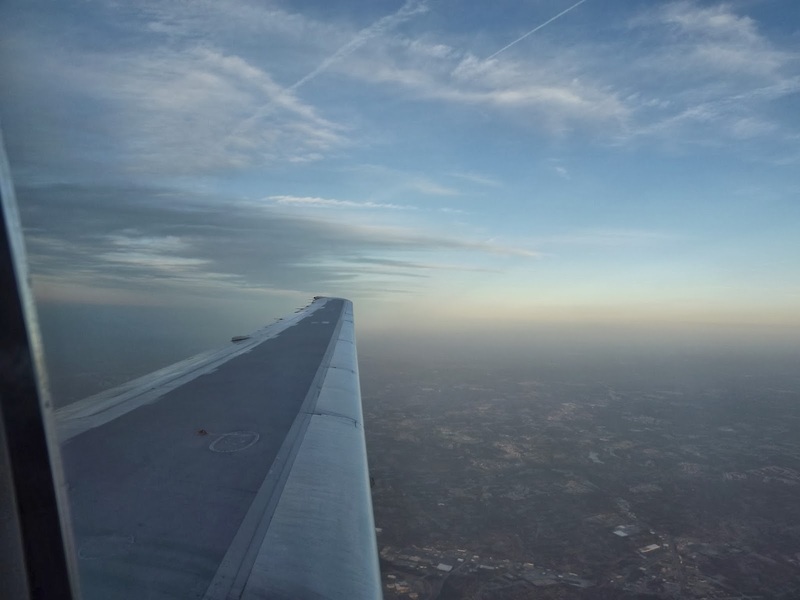 A flight path or airway is a designated route in the air. Airways are defined with segments within a specific altitude block, corridor width, and between fixed geographic coordinates for satellite navigation systems, or between ground-based radio transmitter navigational aids(navaids) (such as VORs or NDBs) or the intersection of specific radials of two navaids. Here is an awesome video showing the amount of air traffic in the world! Nothing particularly remarkable about these clouds, I just thought they were pretty. 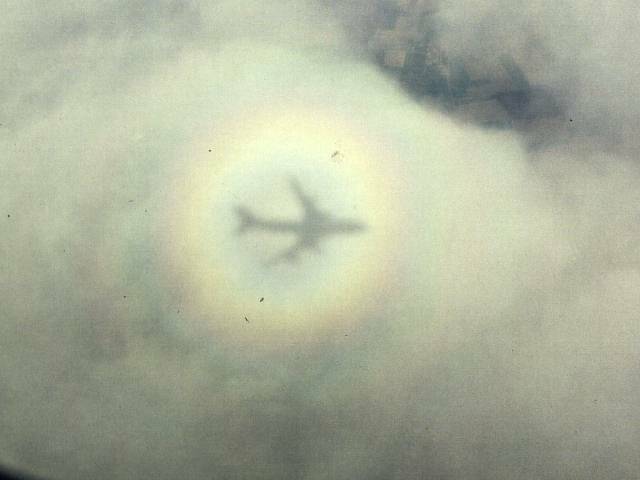 (taken March 1, 2014 on Southwest flight 2183 between Ft. Lauderdale and Austin). Best guess of location is somewhere near Houston, probably still over water. @ "Jaysummer": Question -- are you claiming that the photo you posted is one you took personally? Asking because there is a logo in the lower right corner which reads as "SkyderAlert.com"
Could you please verify the provenance of that image? 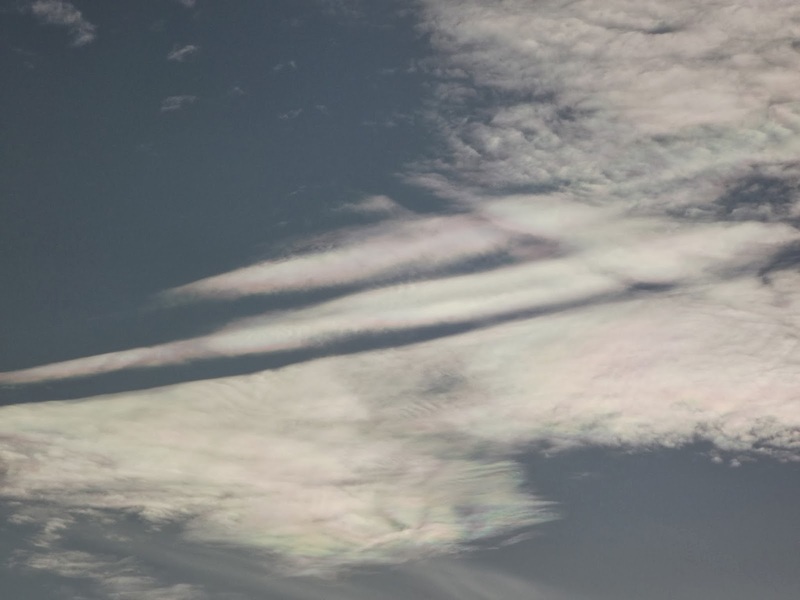 Because, it looks very familiar to me, as if I'd seen it associated for several years on sites claiming it as "proof" of so-called "chem"trails. The microspherular dust on the surface of the Moon exhibits the same effect (as cloud droplets do). It came up in the thread about Moonbuggy tracks not showing up in photos (ergo "they never went to the Moon" twaddle). It happens when you observe reflective spherules when they are illuminated with sunlight from behind you, or when typical vehicle reflector material is illuminated by your headlights at night. "Glory" was the word I couldn't recall at that time. Thanks for that. 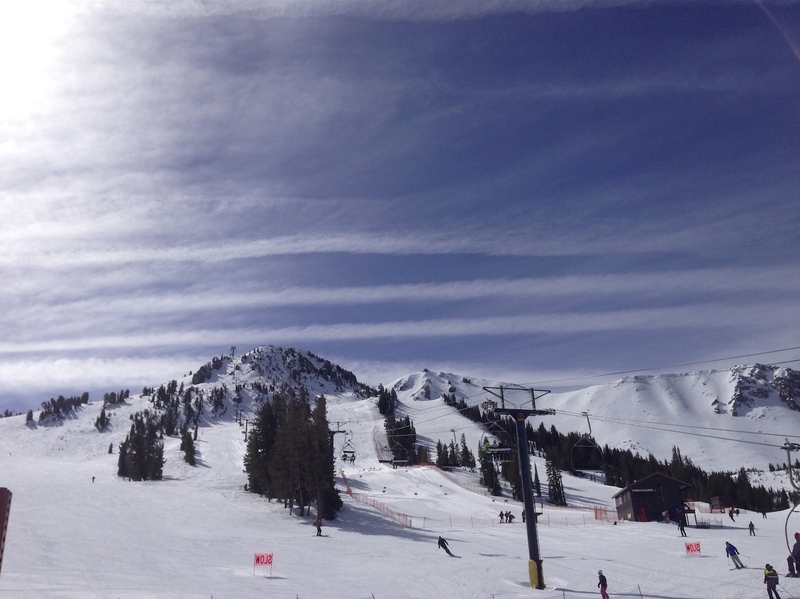 This is what I was doing the past few days, contrail hunting skiing in Mammoth, California. I am SO jealous!! I once flew a B-95 (TravelAire) up to Mammoth for a ski trip, with a few friends, back in (mumble. mumble) 1979!!! I really liked that ski area, as an alternate to the more easily-reached Big Bear, as it relates to the Los Angeles area, and other local ski sites. 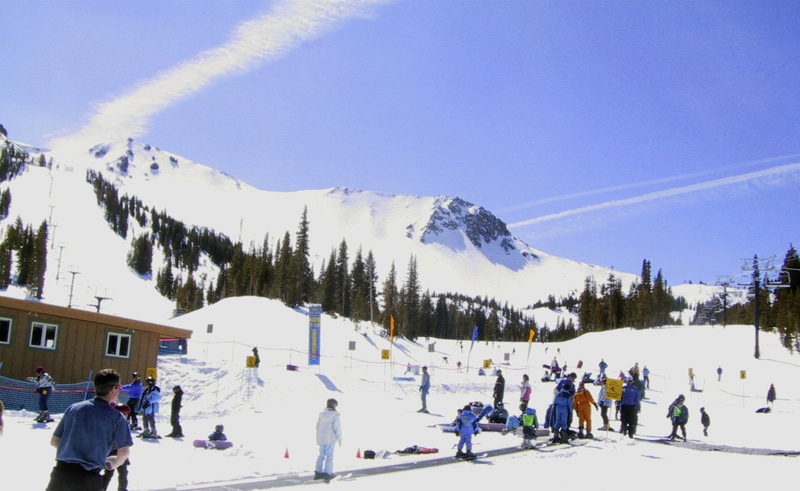 As I lived back East for so many years, my skiing skills have dwindled...last great ski trip was to Telluride, in 1994. Ah, well....last time I skied was on February 1, 2003...(In West Virgina..."SnowShoe" resort) the day that Shuttle Columbia was lost on re-entry. Seared into my memory. Sorry for this off-topic rant. 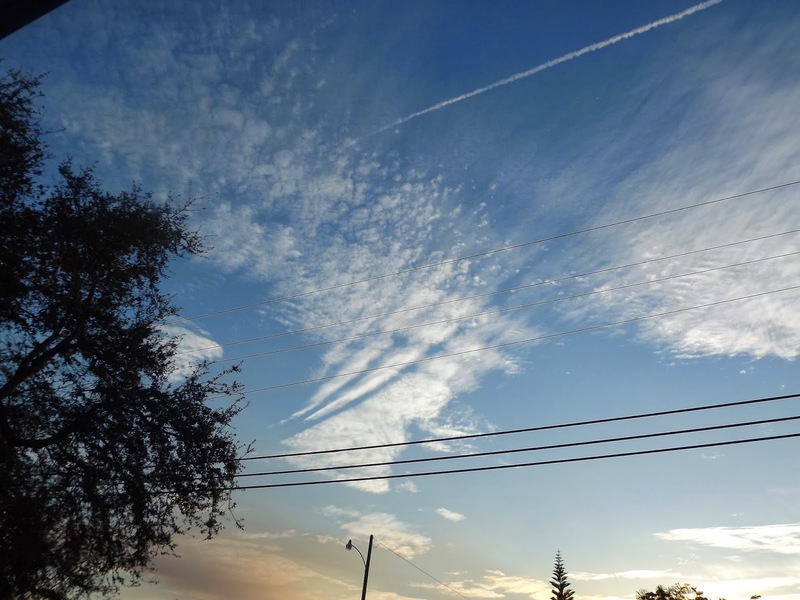 Those are beautiful photos of great contrails and cirrus, as we know. BTW, as you also know, that part of the World is heavily traveled daily, by regularly scheduled airline flights. I hope those in the audience will realize this fact. Going to places like Mammoth is quite a stark contrast to Los Angeles in terms of contrails, and the amount of overcast they cause. I live in a crappy place for contrail spotting, relegated to mostly San Diego traffic. Mammoth gets a lot more heavy planes, and is 9000 feet closer to them. I have zero recollection of seeing contrails that day. As far as I remember it was a lovely sunny day with blue skies. Yes indeed, I understand completely. It is important to note that Mammoth Lakes, California lies in an area over-flown by MANY departures (EDIT)...and arrivals, to and from KSFO (or, San Francisco International Airport). (EDIT again)...as compared to Los Angeles, and we are on a coast. Only some over-flights, and these are headed in or out-bound from the Pacific destinations. Again....skyvector.com is a great resource, for understanding how the high altitude airspace system functions. I recommend it highly. So, I am in total agreement. Also, side-bar...this thread includes many HUGE-format images...and even my DSL Internet connection is slow to load the full page, each time. I'm sure you will understand. Yeah, the current setup is not ideal for photo-album type threads. Might have to do a bit more work on it. Maybe we should all start compressing, if it's a photo(s) that are more for enjoyment. If the photo moves into discussion and needs analysis then download the full size. but it is a nice looking dog, as well. Thanks. I've thumbnailed some of the larger files. Should help.